Why is wheat bad for you? THE FOOD YOU EAT, POISON OR MEDICINE? She has completed four years of post-graduate training and passed stringent exams to be licensed and board-certified in herbology. We prescribe formulations customized to each individual patient to maximize both effectiveness and safety. At the Harmony Acupuncture and Wellness Center, we use only the very best quality herbal products, thoroughly research the best and most reliable sources for herbs. Our standards are uncompromising and we proudly stand behind the herbs we prescribe. 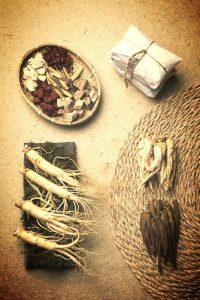 For more than four thousand years Oriental Medicine has been developing and refining medical treatment based on the raw ingredients of natural plants. Oriental Herbal Medicine is the world’s oldest continuous surviving medical system. The treating principles of Oriental Medicine are to emphasize the strengthening of a person’s internal defensive power to fight against the pathogenic agents, and also the power of adaptation to restore the harmonized state of the body. Typically herbs are given in combinations. Some herbs are included to address the specific symptoms, and others are added to prevent side-effects and improve the body’s ability to accept the treatment. As a result, a well-chosen herbal combination can be highly beneficial without causing distressing side-effects. Today herbalists all over the world are checking the safety and quality of herbs, and developing convincing research backgrounds for ancient combinations. In the U.S., Chinese herbal practitioners are usually licensed as acupuncturists, but practicing herbalists are becoming more and more common in a number of states. 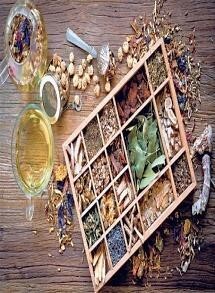 Chinese herbalists are tested and certified by the CA Acupuncture Board and the NCCAOM in Chinese herbal medicine. A patient should ask practitioners about their training and experience in Chinese herbal medicine. Supportive therapy: painful, debilitating disorders such as hepatitis, fibromyalgia, and auto-immune disease. Just as soil becomes depleted through overuse, so the Qi, Moisture, and Blood are eroded by overwork, emotional tension, mental strain, too much or too little exercise, and inadequate diet or rest, impairing the capacity the capacity of the Organ Networks to do their jobs. As natural substances, herbs are easily absorbed and digested by our body. Each herb has a unique combination of constituents that interact directly with the body’s chemistry. Combining herbs into formulas does more than simply adding the effects of each individual herb, it can multiply effects synergistically or they can buffer one another depending on the body’s requirements. Herbs in proper combination may enhance the body’s healing process by providing a balanced holistic ingredient. They replicate the teamwork naturally found in our body’s immune system to defend the body’s health. While Western drugs concentrate on treating the area of the body where symptoms occur (e.g. for chest pain, the heart; for stomachache, the digestive tract, etc.) herbs are designed to bring the entire body into balance. In theory, a balanced body has an immune system strong enough to fight off any illness. 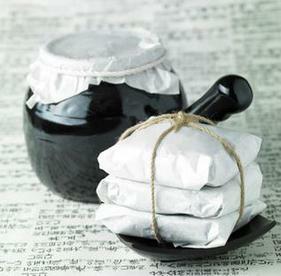 Formulas are available in a variety of forms: crude herbs to be boiled into tea, liquid bottled extracts, ground herbs packaged in pills, and powders. Herbs, more like foods than drugs, can supplement our diet and fortify our constitution as well as prevent or remedy ailments. Sometimes long-term use of bergs is desirable whereas extended use of pharmaceuticals would not be healthy. Since fatigue results from a lack of Qi, herbs that nourish the Qi have an energizing effect. Since blurry vision, restless sleep, and irritability result from depleted Blood, Blood-enriched bergs improve vision, sleep, and equanimity. Since dry skin and dehydration arise from insufficient moisture, herbs that replenish it soften the skin and relieve an otherwise unquenchable thirst. Herbs assist the Organ Networks in the performance of their tasks, Particular herbs enhance the capacity of the Heart to propel the blood and soothe the mind, the Spleen to manage digestion and fluid equilibrium, the Lung to handle respiration and the body's defenses, the Liver to maintain resilient emotions and supple limbs, and the Kidney to sustain sexual and regenerative power. Some herbal formulas address ailments such as colds, allergies, inflammations, or cramps with dramatic and immediate results, while others fortify body reserves over time. For example, Paul's stuffy head and cloudy senses are relieved by herbs that dispel Heat and Wind. Herbs that strengthen the Lung and Ai will increase his resistance to colds and flus. Maria experiences menstrual distress as a result of congested Qi, Moisture, and Blood in the abdomen - a traffic jam that results in sore and swollen tissue, a puffy face, irritability, lethargy, and cramps. Herbs that invigorate her circulation can dislodge the pile-up, relieving her symptoms. Erin is concerned about the signs of aging that occur as Essence and Blood diminish. Herbs that nourish the Kidney and Liver replenish Essence and Blood so that health bones, supple skin, shiny hair, and an even temperament prevail while the fading of sexuality or hot flashes are prevented. We accept major insurances plan include IEHP.